Every year we take our students to camp in order to have fun, build relationships, and encounter Jesus! 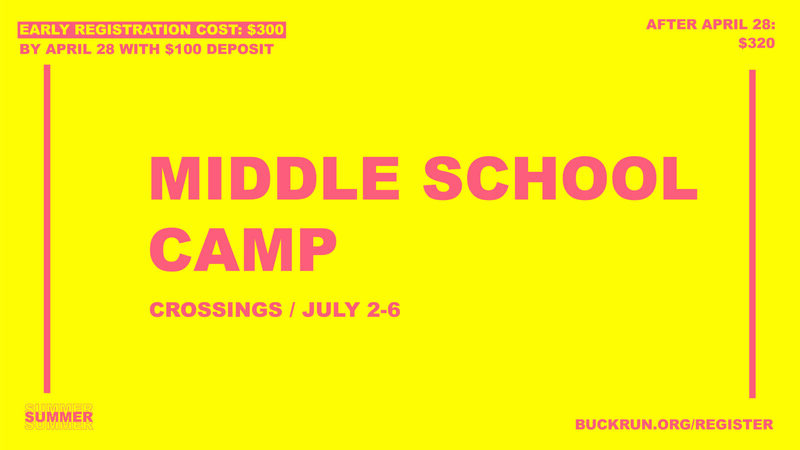 This summer our middle schoolers are headed to Crossings Cedarmore in Bagdad, KY. It will be a high energy, week-long experience of fun activities, small groups, singing God’s praise, and hearing God’s Word from Charlie George. Join us for Middle School Camp July 2-6. A $100 deposit of the total $300 cost is due by April 28.